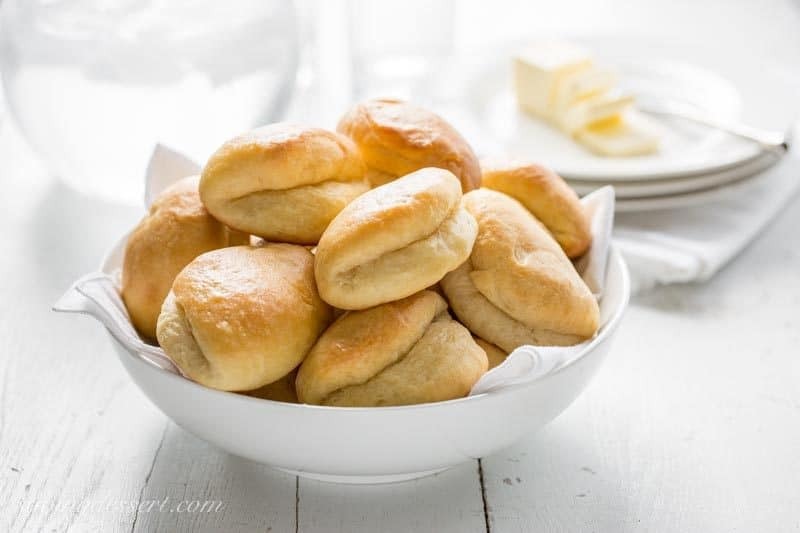 Parker House Rolls ~ Puffy, pillowy soft and buttery, homemade Parker House Rolls are easy to make and even easier to eat! 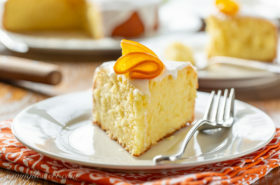 This post first appeared on Recipe Girl where I am a contributor and occasionally share delicious recipes! This simple, rich roll is lightly sweet and buttery, and folded in half in the famous Parker House style. The Parker House Hotel in Boston is known for both Parker House Rolls and the Boston Cream Pie creations still popular today. 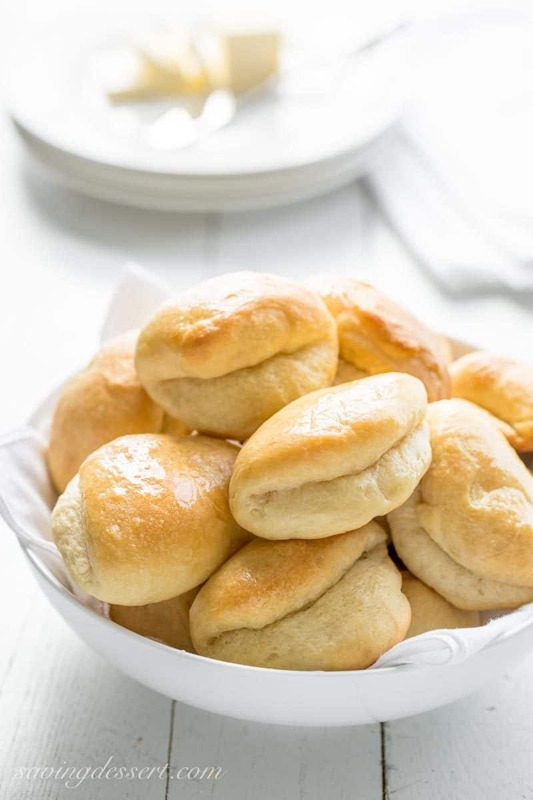 The original Parker House Rolls were created back in the 1870’s then made even more famous in the 1890’s when published in Fannie Farmer’s cookbook, which is also still popular today. While this may not be their original famous recipe, it’s an absolutely wonderful yeast roll that will surely please family and friends. I can’t wait until you try some leftover holiday turkey with a dab of mayonnaise on one, or two, of these delicious dinner rolls. These Parker House Rolls make the best little leftover turkey sandwiches! I kinda think it’s worth it to make these just for the leftovers. If you have out-of-town company for the holidays, these rolls will be a memorable treat for sure. 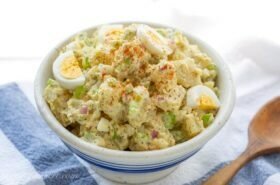 Pack a few for their trip home and be sure to share the recipe with them too! That is IF there’s any leftover after dinner. In fact, now that I think about it, it might be a good idea to double the recipe. Yes, you are very, very welcome! 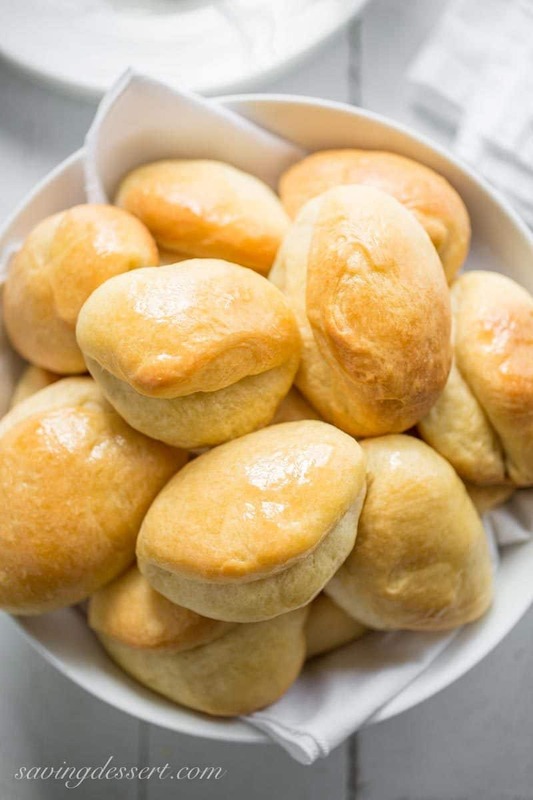 Puffy, pillowy soft and buttery, homemade Parker House Rolls are easy to make and even easier to eat! Once the dough is made, do not let it rise. Refrigerate the covered dough ball overnight or up to 16 hours. Let the dough rest at room temperature for 30 minutes, then continue with step 3. We love yeast rolls, especially during the holidays. Our Easy 90-Minute Rolls are so simple even a non-baker can bake them, or at least my husband can, and has many times! These Quick Whole Grain Oat Rolls from The View from Great Island look heavenly too. Check out these beautiful Pumpkin Style Sweet Potato Brioche Rolls from The Cafe Sucre Farine – how terrific these would be on a holiday table. I adore these Rustic Old Fashioned Potato Rolls from Seasons & Suppers, tender and moist, and perfect for the holidays. 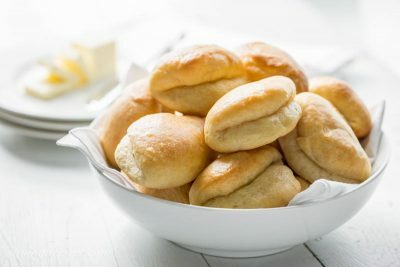 I also love this recipe from RecipeGirl of another family favorite for – Crescent Dinner Rolls. Rolls looked soooo good, I had to try and make them. I used your suggestion and used 3 tablespoons granulated sugar. Thx for sharing Tricia! I’ve been hearing about these rolls, they certainly look delicious. happy Thanksgiving to you and your family Tricia! 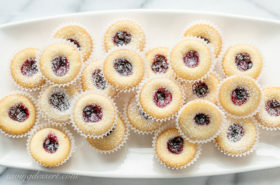 They are delicious Cheri – hope you give them a try sometime! Happy Thanksgiving to you and yours. Now you have really made me question whether or not I want to make the rolls I make every year or these! They look so good, Tricia! Don’t make your family mad by changing recipes Susan – (hahahaha) but be sure to make these later to enjoy leftover turkey sandwiches. Yum! I am a real bread/roll girl myself..Thank you and Have a very Happy Thanksgiving! There is nothing better than a good Parker roll. I love to have your rolls on my dinner table. Unfortunately we adore rolls, all flaky and buttery – yum! We can make a meal out of rolls. Thanks Gerlinde! Oh yum! I’m afraid I would never get enough of these rolls to do a photo shoot with. I’d be snitching one after another, warm from the oven! Haha Chris – I had to laugh because I always eat the ugly cookie, or the misshapen rolls – and this time was no exception. They are so good! Parker House rolls were a must on our holiday tables so long ago. I need to make a batch for the family—nothing better than a homemade yeast roll!!! All I could think about while I was reading this post was a delicious leftover turkey sandwich, slathered in cranberry sauce and dripping with gravy ~ I love these rolls, the softer the better! Happy Thanksgiving Tricia! Oooh dipping in gravy sounds wonderful 🙂 Thanks for the visual Sue! I agree completely Jennifer – late-night turkey sandwiches are the best. I love a little mayo and tons of pepper on mine 🙂 Thank you! I saw them made from the Parker House on TV and yours look just the same. 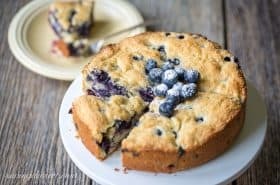 Now with a recipe, I’ll pass it on to the family baker. 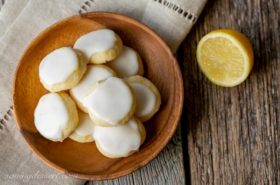 Thanks for sharing the recipe Larry – I know you will LOVE them! Soft and buttery…my mouth is watering, Tricia. These rolls look amazing!